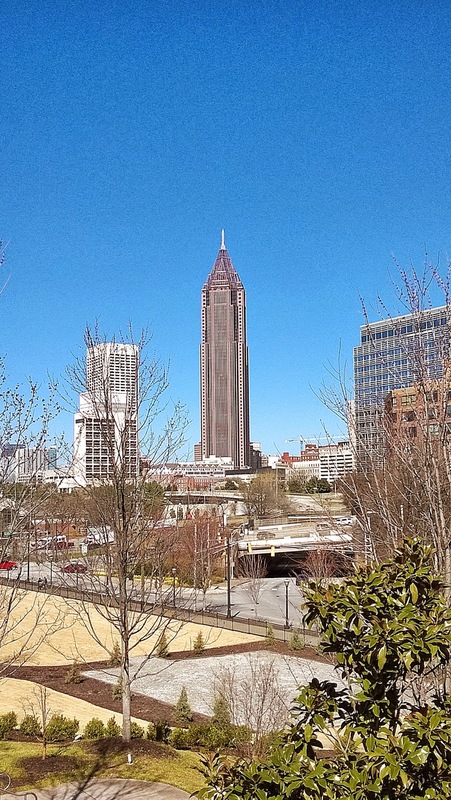 My favorite building in downtown Atlanta is called the Pencil Building which is the nickname for the rather boringly named Bank of America Plaza. It is the 10th tallest building in the United States, the tallest building in a state capital, and the tallest building that isn't standing in New York or Los Angeles. This is the view of The Pencil from the World of Coca-Cola museum. We Took A Ride Into The Danger Zone!